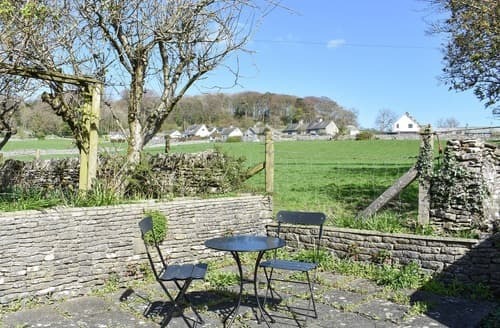 What our customers are saying about our Holiday Cottages In Levens To Rent. 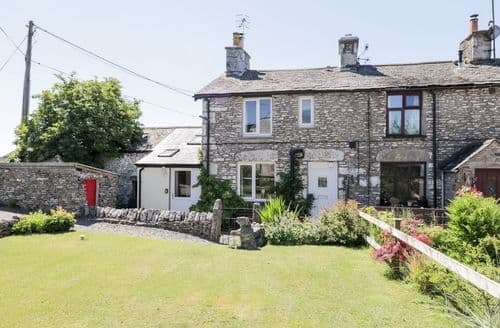 "S89923 is in the pretty village of Levens, just a few miles from Kendal. 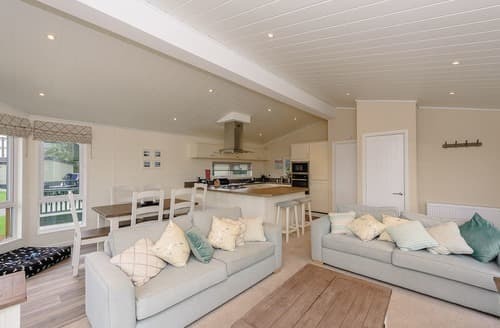 The cottage was very clean and comfortable, well decorated and beautifully furnished throughout and we loved both the interior and exterior. It has everything you need, and will sleep up to 3 people. It is only towels that are not provided. There is private parking and a garden. It was very easy to reach from the M6, and you didn't have to go far to see some beautiful sights. We would recommend Bowness, Coniston, Grasmere, Ambleside and also the Ingleton Waterfall Trail. We managed to get to Hill Top, too, which was one of Beatrix Potter's homes. We stuck to the South Lakes, as there was so much to see, but you could go further afield as well. You can see Levens on foot and we had a lovely long walk around the local countryside on one of the days. We were very fortunate with the weather for our week's holiday. We would definitely recommend the Hare and Hounds in Levens for a meal. Bowness is also a good place to eat out. There are loads of restaurants to choose from there. We were spoilt for choice. 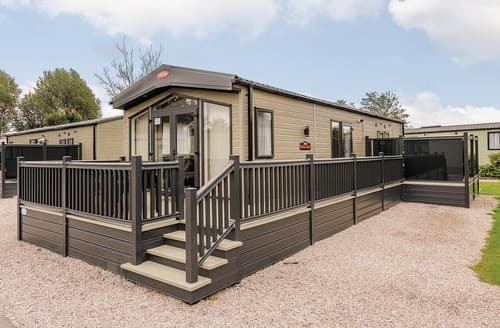 We very much hope to return, as this was our first visit to the Lake District and we loved it." 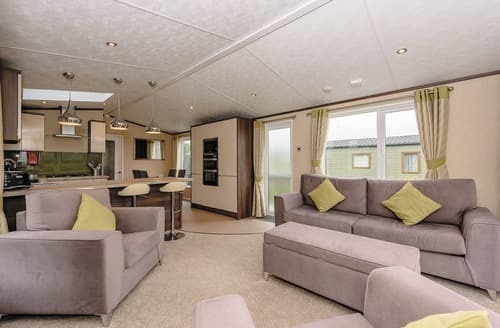 "S43579 was well decorated and well appointed, exceeding our expectations. It is built along the same lines as the Tardis, in that although it looks fairly compact from the outside, inside it is surprisingly spacious. It was nice to be greeted by complimentary bottles of wine and milk in the refrigerator, together with a friendly note from the owner. 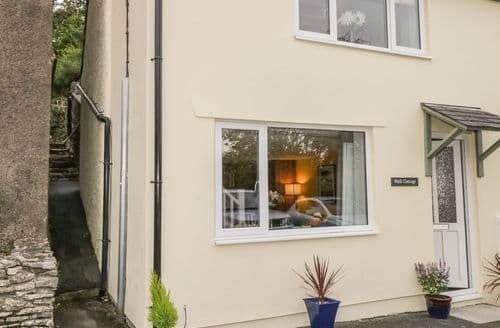 Other welcoming touches included fresh flowers, and an extensive basket full of information leaflets, including a full set of Explorer 2 1/2 inch OS maps of the Lake District. 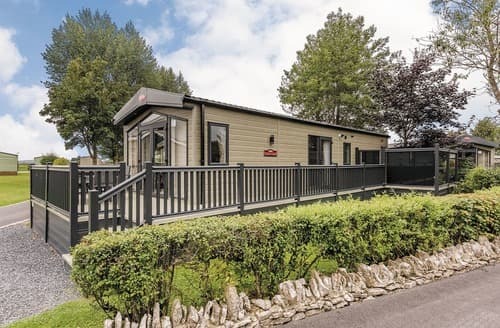 Having already done our homework, we were fully aware that Levens is just outside the Lake District National Park, but there is good access to the park, as well as to Morecombe Bay, and to the North Yorkshire Dales." 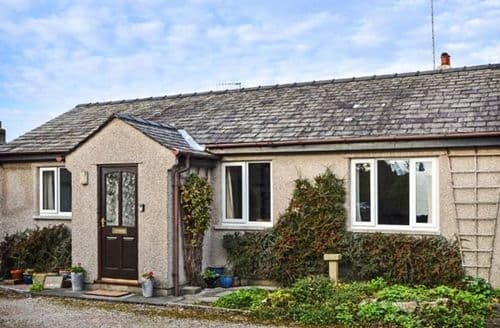 "This was a lovely bungalow, with very comfortable furniture, and so convenient to have the car parking space adjacent. The tv was excellent, providing lots of channels to watch. I liked the kitchen with everything to hand. The little dining room was good too. I was a bit worried about dirtying the beige hall carpet, with wet shoes, and so an extra carpet strip might be useful to wipe one's feet on, inside the hall. Overall, a very nice, compact house...and VERY quiet too. Very useful shop almost over the road, open til 6pm. Sizergh Park and garden just 5 minutes away. as was Levens Hall and park. Milnthorpe Booths just 5 minutes by car, and Kendal about 10 minutes. Windermere 20 minutes ." 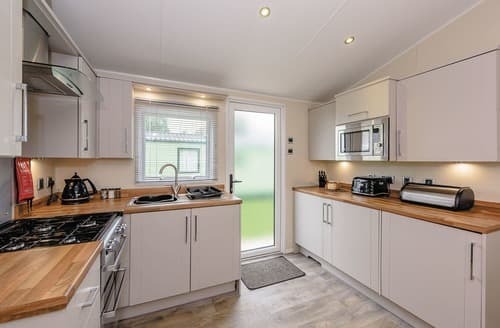 "It is built along the same lines as the Tardis, in that although it looks fairly compact from the outside, inside it is surprisingly spacious. It was nice to be greeted by complimentary bottles of wine and milk in the refrigerator, together with a friendly note from the owner. 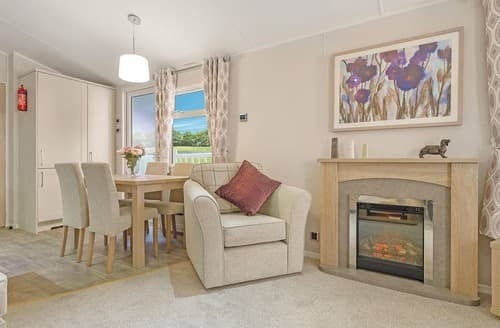 Other welcoming touches included fresh flowers, and an extensive basket full of information leaflets, including a full set of Explorer 2 1/2 inch OS maps of the Lake District. 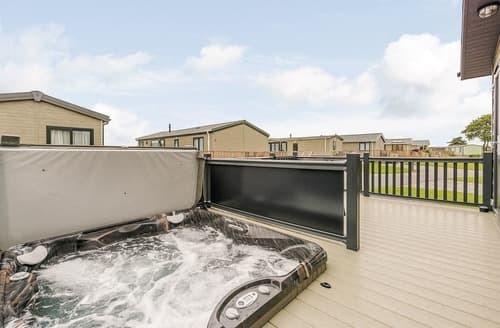 Having already done our homework, we were fully aware that Levens is just outside the Lake District National Park, but there is good access to the park, as well as to Morecombe Bay, and to the North Yorkshire Dales." "Well equipped, comfortable and had a lovely small wood burner. The village was friendly and the lady in the village shop was very helpful and friendly. The only thing I would suggest is that you look at the double bed. I left a comment in the visitor book about the mattress but on reflection I wonder if the problem is with the frame/ base itself? I found myself rolling into my husband on the second night - almost as though his side of the bed had sagged a little and it was him that felt the springs - not me. (He was on the side nearest the door) Apart from this though we had a great short break and the cottage was lovely."